Echoing Huawei’s reclusive founder Ren Zhengfei, Liang also expressed “every confidence” in Canada’s legal system after the arrest of Ren’s daughter – a senior Huawei executive – on a U.S. extradition request. The subsequent arrests in China of two Canadians, seen widely as a reprisal by Beijing against Ottawa, “has no relation with Huawei,” Liang told reporters in Davos, adding “we fully comply” with local laws. Last week, the Wall Street Journal reported the U.S. Department of Justice was in the “advanced” stages of a criminal probe that could result in an indictment of Huawei. But if Huawei gets barred from certain markets and customers start to shun it, “we will transfer technology partnerships to countries where we are welcome and where we can have a collaboration,” he added. In any case, Liang said, Huawei will plow on with planned investment of $20 billion in each of the next five years as it rolls out 5G base stations to promote radically faster internet speeds. A Chinese court sentenced a Canadian man to death on drug trafficking charges last week after his previous 15-year prison sentence was deemed too lenient, a ruling that has deepened a diplomatic rift between Ottawa and Beijing. 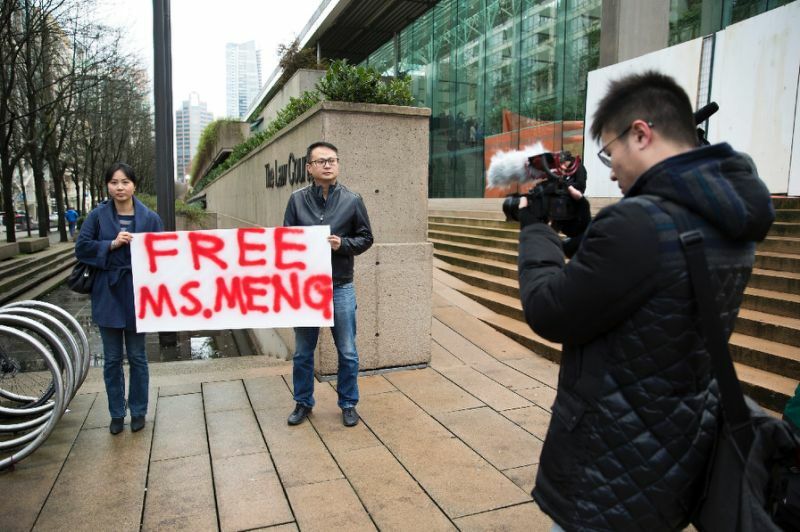 The sentence came against the backdrop of the Chinese government’s anger over the arrest in Canada of a top executive from telecom giant Huawei last month on a U.S. extradition request related to Iran sanctions violations.